I wanted to introduce you to my cousin, and her blog jesusandjessie. I just read her first blog and decided to share it with you! I hope you enjoy it as much as I did. I’ve started writing letters to my future husband. 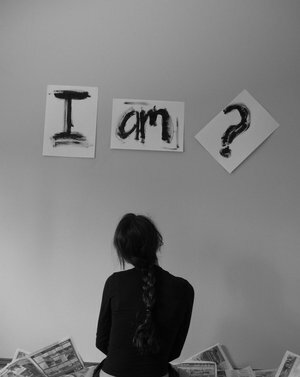 I write as though I know him when in all reality, I don’t even know if I’ve met him. I have pages and pages scattered here and there, in notebooks from high school, notes from Ecola, journals for writing messages, and all sorts of loose paper. There’s a lot of “I miss you’s” and “I love you’s” along with “when will you get here?” and “how will I know?” Although I’ve written all those words for all these years, I know there’s still so much more to be told. Husband, if you’re reading this someday, know I love you and I really do miss you. However, life without you is still wonderful, because I know our One True Love is the Author of our love story. Sharing our Father and loving Him together is my biggest dream. I can’t wait to wake up in the mornings, wrapped in your arms, and hear you begin to pray. I can’t wait to go through the miseries this life will bring us, but go through them together and come out of them stronger. I can’t wait to have a love with you that will defy all other ideas of love. I want to hug you and hold your hand and fall asleep on your chest and hear your heart beat and giggle with our children while teaching them of Jesus’ love. These are the things I long to share with you and so much more. READ THE REST HERE! The question of communion has come up recently in a number of conversations, and recently blogged about here. Most of what we know about communion comes solely from the practice of it at our local churches. The practice of communion is one of two ordinances/sacraments (most people don’t like the word sacrament, because of its Catholic roots) we are called to practice/observe in the New Testament, the other is baptism. 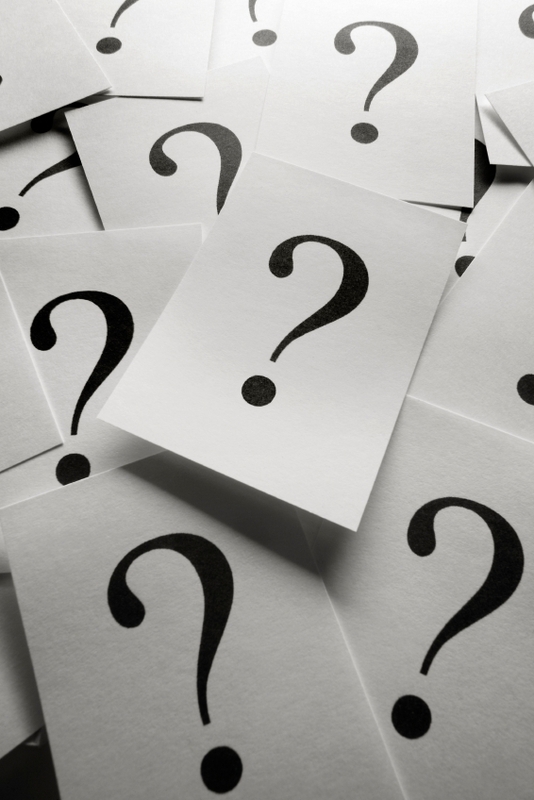 My brother Donald Borsch dives into the discussion focusing on the silence of scripture in these ordinances, noting, “My spiritual father, Jim McNally, taught me that in issues where The Scriptures are silent, I need to be silent”. Today, I want to dive into the differing thoughts about the communion ELEMENTS (bread, and wine), the four predominate views in the American Churches, and how I personally view/practice communion. There are four predominant views when it comes to the parts of communion. The first view is called “transubstantiation” (substance transformed), which states that the substance is transformed into the body and blood of Jesus Christ. The traditional Roman Catholic view is that the bread and the wine are supernaturally transformed, by the blessing of a properly ordained priest, into the actual body and blood of Jesus Christ, and then the elements are distributed. In fact, Martin Luther was upset with the Catholics, because in his day, although the Catholic church distributed the bread to the laity (to the folk), they would not distribute the wine. The wine was considered too important for common people to receive. They all might spill the blood of Jesus, and that would be a really bad thing to do. For this reason, the priests in Martin Luther’s day would drink the wine on behalf of you commoners. You could receive bread, however, because you are not going to do a lot of harm to the bread. The second view is called “consubstantiation.” This is a traditional Lutheran view of communion. Consubstantiation says that Jesus’ body and his blood are contained in the bread. The bread does not fully transform into the body and blood of Jesus Christ, but the bread and the wine contain the body and the blood of Jesus Christ. That is sort of a middle ground view. The third view is called the “spiritual” view. This is associated mainly with reformed traditions, with Presbyterian churches. This view says that in a very special way, the spiritual presence of Jesus is with us during communion. 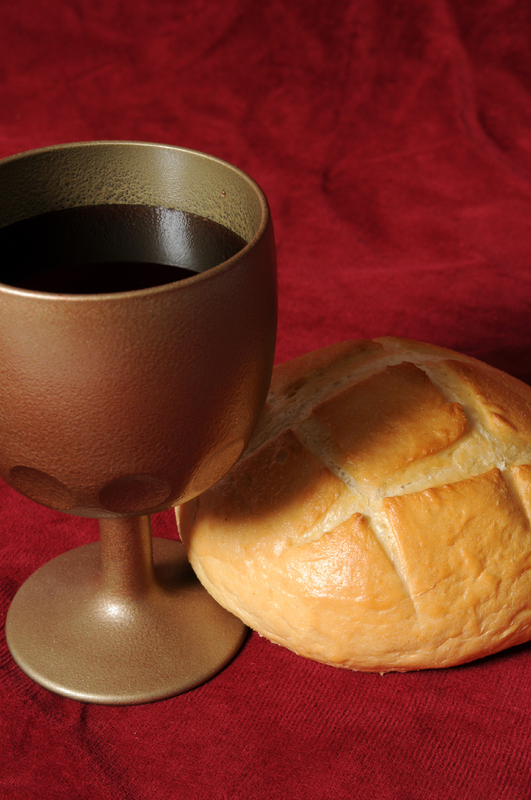 In a special way, Jesus is spiritually present with the bread and the wine during the communion ceremony. The fourth view is the “representative” view. It says that these elements are merely tokens, symbolically representing the body and the blood of Jesus Christ — that there is no supernatural transformation in the form of these. The body and the blood of Jesus Christ are not going to come here with these elements. Jesus was killed, he rose again, and he is seated at the right hand of the Father right now. That is where his body and blood are. They are not here physically with us. They also do not believe that Jesus is more spiritually present in the elements during communion than He is with you and me at any other time during the week. Being filled with the Holy Spirit of God, you are always in the presence of God. Jesus is not spiritually in our presence more during communion than he is at any other time of the week. Whatever you believe about the elements, scripture has made it clear that we are to ‘do this in remembrance of Him‘. As my friend Frank would say,”Communion is all about PROCLAIMING his death, his blood poured out”. In Luke, we are given this picture of the Last Supper, it’s in this picture that we see clearly how to take communion, and the represented elements. Notice that it is a full meal that they take part in, and the communion starts at the beginning of the meal with the breaking of bread, and ends at the end of the meal with the wine. When is the last time you have had a communion dinner like this? For most, probably never. Granted this would be difficult to do in a church service, considering time and the number of people in the service. So, I suggest doing it at your home, with close friends, or alone with your wife. In most denominations it is forbidden to take communion outside the church walls, or without a Pastor or Priest distributing the elements. I cannot find this in scripture, and you will not find it either. I encourage all christians to take communion regularly, it is the only ordinance in the NT that we are commanded to do that is not a one and done sacrament (i.e. baptism). As for my view on the elements, I fall right in between the third and fourth view. So, I guess I have a spiritual-representative view on the elements of communion. The best thing about not being part of a denomination, is not being handcuffed to their theology. If you know me well enough, you know that I am not the biggest fan of reading. I really have to force myself to read, it’s a battle that is either won or lost each and every week or month. I promised to share with you books that I am currently reading, books I study from, and books I recommend. So basically, this is going to be a short blog. Books I am currently reading………. Holy Bible (NIV)….I try to read this regularly, but regularly is relative. I am currently reading through Ephesians. This is my Owner’s Manuel, my theology, and where I go to get all the answers to life. It’s not only the book I am currently reading, but also my main study book, and the first book I would recommend to anyone and everyone. Sonship: The Word Made Flesh (Jim McNally)….ALERT-ALERT!!! This book you cannot find on any shelf of any local book store, it has not been released to the public as of yet. I am reading the manuscript draft. Lucky for me I know the author, lucky for you (you know me). I have lived this book for the past 16 years of my life. The author is not only my friend, he is my pastor, he is my mentor, and my spiritual father. Currently, this book is at the printer being printed, so when it is officially released I will give you a more thorough review of it. Until then, just know it is one of my favorites! Stay tuned. Counseling ‘How to Counsel Biblically’ (John MacArthur)….I attend a mens prayer meeting and this is the book that we are studying. A friend of mine, a local pastor, was a ghost writer for John MacArthur and wrote some of this book, so we have been reading it together. Though I differ with MacArthur on a lot of levels of his theology, this book from what I have read so far, is well written and has a lot of practical useful material. Holy Bible ‘Comparative Study Bible’ (NIV, Amplified, KJV, NASB)….If you are going to study scripture, I highly suggest reading more than one translation. The point of studying scripture is to find out and/or understand what God is saying to us, and having multiple translations in front of you makes it easier to figure that out. This may not be the best parallel bible out there, but it gets the job done. I only say that because I’m not the biggest fan of the multiple choice, (oops)…. I mean Amplified version. If I purchased another parallel bible I would get one that didn’t have the Amplified translation. Systematic Theology (Wayne Grudem)….This right here is a must have, you must go out and purchase this book, oh, wait, I got ahead of myself (this is books I use to study). This behind the Holy Bible is the second best study material I own, period. The preface starts, “I have not written this book for other teachers of theology (though I hope many of them will read it). I have written it for students-and not only for students, but also for every Christian who has a hunger to know central doctrines of the Bible in greater depth”. If you want to better combat yourself against all the winds of theology being blown and tossed around, buy this book. Stop being spoon fed what you should beleive (the way your pastor believes), and grab a fork and knife, dig into the meat of scripture for yourself. Strongs Concordance (Strongs)….This is a concordance, if you don’t know what it is, google it. I use it in my studies for quick referencing. Holy Bible….I like NIV, others like NASB, you might like KJV. Just remember it was written in Hebrew and Greek, not the Queens English. I do recommend staying away from The Message, by Eugene Peterson. This is a paraphrased bible, written by a man who believes that the old testament is fable. Peterson is also a pioneer in the emergent church movement. If you prefer reading a paraphrased bible, I suggest The Living Bible. Systematic Theology (Wayne Grudem)….see above, BUY THIS BOOK! The Remnant (Larry Stockstill)……….This book is written to all who call themselves Christians, it is a plea to leaders, and a call to bring integrity back to American Christianity. Accountability, transparency, and integrity are just a few of the subjects in this book. It is an easy read, you can read it in one or two sittings. I highly recommend this book to all believers. I have read this book three times, and given it to some friends. This post is a one shot deal, a peek at my library. My blog will not become a book club. 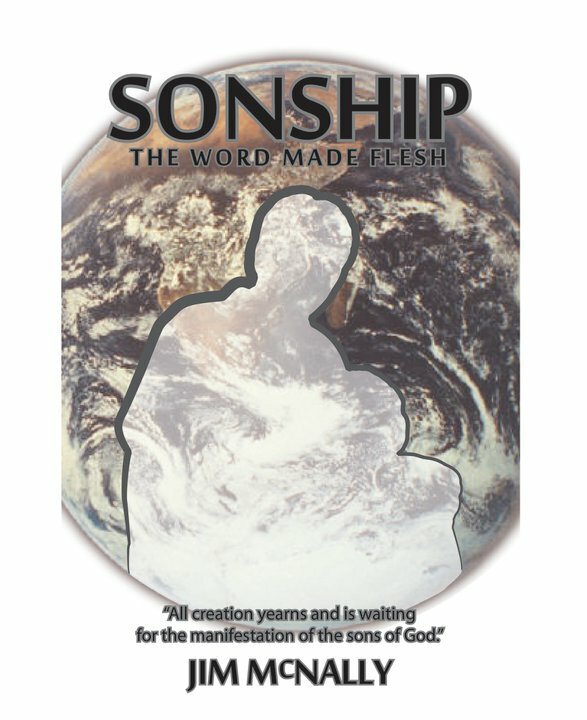 I will write a review on ‘Sonship: The Word Made Flesh (Jim McNally)’ after it is released. Beyond that, no more book club blogs! 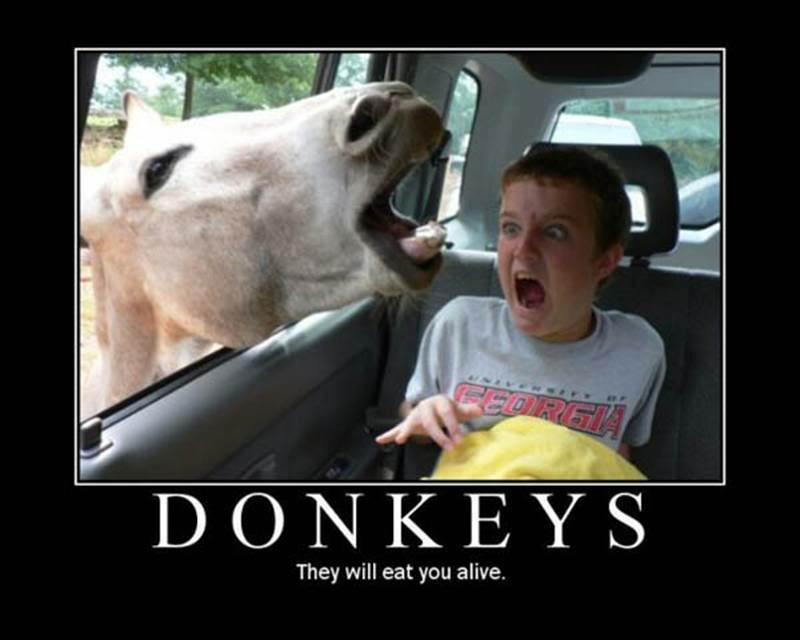 ………..Stay tuned next week, I plan to get into a controversial subject. See you Wednesday April 20th! ……………May God Bless you all with peace and mercy, that only comes from HIM! Wednesday, April 13th, I will be sharing with you some books I’m reading, books I use to study, and books I recommend. Let’s start this off on the right foot. Hello, my name is Wayne Haines (aka Florida Wayne), I am a proud son of the greatest Father (aka God, Abba, Elohim, Adonai, Jehovah, El-Shaddai) in the universe, a husband, a father of three great children, and last but not least a singer-songwriter. This is my first attempt at a blog and I am very excited. I’ve set my goals really low with this blogging thing, being that I work a full-time job, I have three teenagers, and I try to get out with my music on occasion which leaves little time for my awesome wife. So, I’ve decided to try one blog per week. We will see how it goes. Now to the left foot. In case you haven’t guessed I’m a christian, not one of those Sunday christians, or those cafeteria and program christians. I am a christian 24/7, this doesn’t mean I have it all together or that I am OH SO HOLIER than thou. It just means that I daily strive to be more Christ-like. I believe the western church looks more like the Pharisee’s and Sadducee’s from Jesus time over 2000 years ago (man putting God into a little box that fits their image with pretty little bow), than Jesus Christ. I know that the only way to be more like Christ, is to posture myself as a son in all aspects of life . When God chose to reveal Himself, He sent a Son. The better I am at being and becoming a son, the better I can be a husband, a father, and a friend. Jesus said,”whoever has seen me, has seen my Father” John 14:9. Throw out all your stereotypical stereotypes about who I am as a christian. I am not a republican, I am a registered independent, but will admit I vote primarily for republican candidates. I drink alcoholic beverages preferably beer (only good beer, because I’m a beer snob). I have many tattoos that I got after I was saved. Did I mention that I am not politically correct, but I am Kingdom correct. A little taste of who I am, and a hint of what’s to come. Please stay tuned for my next post.